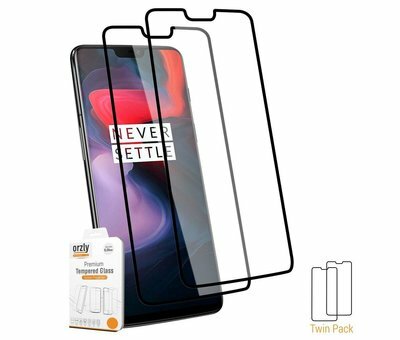 Orzly Flexicase Transparent OnePlus 6 is the basic protection for your OnePlus 6. The matt black finish gives the case a business look. Made of TPU for a long life. Orzly Flexicase Transparent OnePlus 6 is the basic protection for your OnePlus 6. The matte transparent finish gives the case a powerful look. Made of TPU for a long life. With precise cut-outs for the OnePlus 6, the ports and buttons of your OnePlus simply remain easily accessible, so you do not compromise on convenience. In addition, the case mat Transparent is something that stands out. TPU has the characteristic that it is flexible and has a rubber-like texture, which in turn results in shock resistance and protection against impacts. In addition, it is also resistant to scratches because it is not a hard material. Easy to install and remove and with a minimal bulk it also fits with our OPPRO docking USB C and will also fit effortlessly in most car holders. Do you really want maximum protection for your OnePlus 6? Then choose a bundle with a 9H glass screen protector below. This means that almost nothing can happen with your phone and a bundle also gives you an immediate advantage!